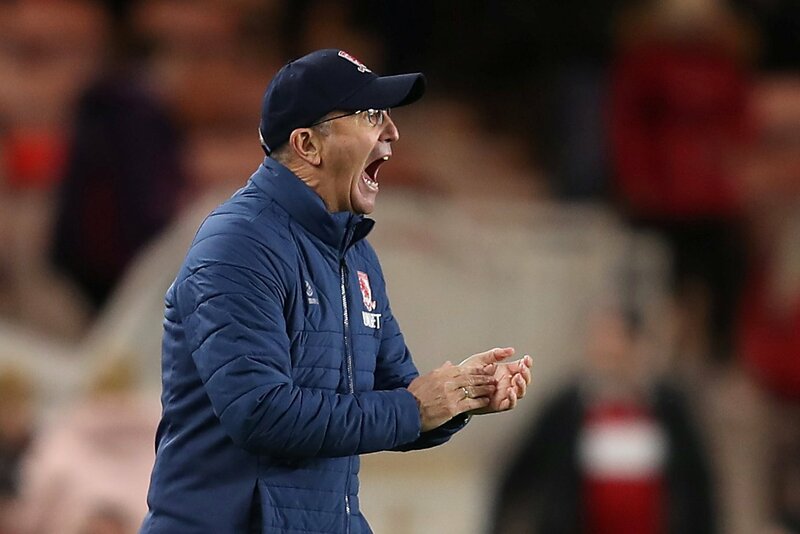 Middlesbrough boss Tony Pulis has made just one change from the side that started the win over West Brom last week as his team prepare to host Leeds in a huge Championship clash this afternoon. Here's the #Boro team ???? Midfielder Jonny Howson has been handed a starting role against his former club, with Mo Besic a substitute today. That means that Britt Assombalonga also remains on the bench even though he came on to score the two decisive goals against Albion last week. Although, he did struggle, along with his teammates, in the embarrassing midweek FA Cup exit at Newport. All in all, it’s a very defensive setup from the experienced boss, who continues with a back five and a narrow four-man midfield supporting lone striker Jordan Hugill. Boro know that victory today will put them firmly in the hunt for automatic promotion as they will go four behind second-placed Leeds with a game in hand. Yet, many supporters were not happy with the line-up, as they called for Pulis to show more ambition in a home game. Britt can come on when we’re getting beaten 0-2 ???????? Playing for a point at home. Would definitely take a point the way we’ve been playing! But if you setup to do anything other than win, you’re more likely to lose ???? Horrific. Wait for the shape change on 30 mins again. Looking at their fans reaction to their team sheet and comparing it to ours, couldn't be any different.